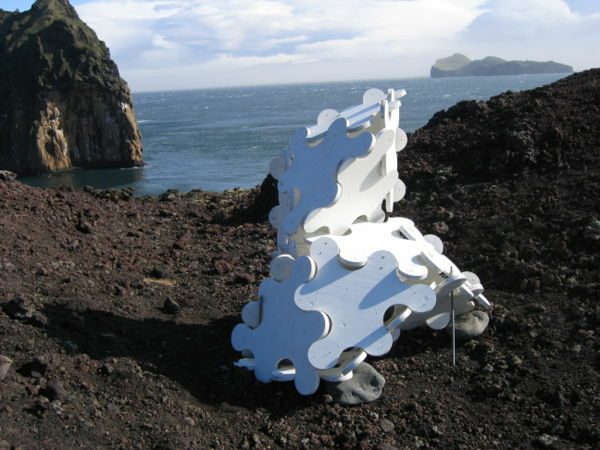 Edmund Harriss created this geometric sculpture on a 35 year old lava field in Iceland. It can be understood as a simple form composed of equilateral triangles, but the curved edges where the triangles hinge together soften the geometry, giving it a more organic character. 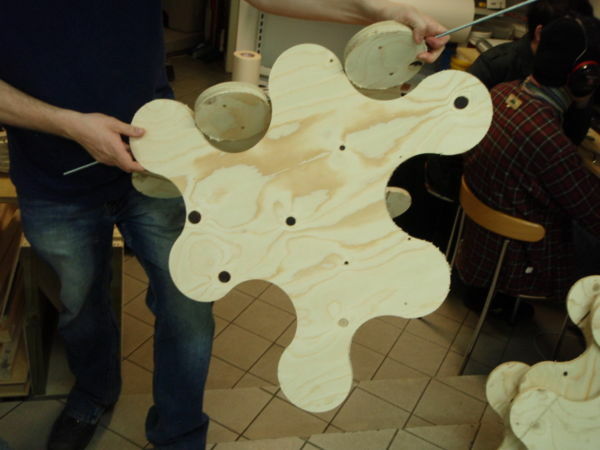 The plywood parts are hinged, so can be easily disassembled and rearranged. Edmund credits this construction system to Richard Grimes, and gives detailed fabrication instructions here. He hopes that others will find this to be an easy way to get started making large mathematical constructions. This article first appeared on Make: Online, March 8, 2010.